A collection of keyboard shortcuts that allow for fast coding. You can see a list of shortcuts in Help -> Keyboard Shortcuts. And view zen coding examples. Select multiple files by holding Ctrl or Shift. This makes things like opening or copying a bunch of files a lot easier to perform. 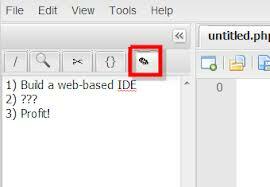 Dragging a file into the code editor will either embed or link to the file as appropriate. 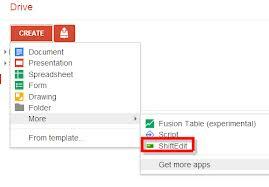 Launch ShiftEdit from within GDrive. If you already use GDrive you will need to remove ShiftEdit from GDrive and add it back in to permit these new privileges. Write a todo list, or paste in anything you need to remember here. PHP lint checking is now performed locally so it is faster and available offline. 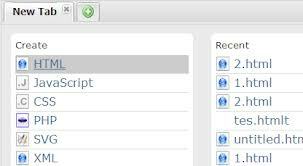 Jump to files referenced in a href attribute. Replaced new file window with a new tab page. Includes list of recent files as well relevant ads. Plus many more, view the changelog for details.